A few days ago, I read an article in Thisday entitled “Where is Charles Soludo?”, and my answer is that I am still there, only that I have been too busy with extensive international travels to participate in or comment on our national politics and economy. Beside other issues we raised, our main thesis was that the macro economy was dangerously adrift, with little self-insurance mechanisms (and a prediction that if oil prices fell below $40, many state governments would not be able to pay salaries). I gave a subtle hint at easy money and exchange rate depreciations because I did not want to panic the market with a strong statement. Sadly, on the eve of the next elections, literally everything we hinted at has happened. Part of my motivation for this article is that five years after, the real debate is still not happening. The presidential election next month will be won by either Buhari or Jonathan. For either, it is likely to be a pyrrhic victory. None of them will be able to deliver on the fantastic promises being made on the economy, and if oil prices remain below $60, I see very difficult months ahead, with possible heady collisions with labour, civil society, and indeed the citizenry. To be sure, the presidential election will not be decided by the quality of ‘issues’ or promises canvassed by the candidates. The debates won’t also change much (except if there is a major gaffe by either candidate like Tofa did in the debate with Abiola). My take is that more than 95% of the likely voters have pretty much made up their minds based largely on other considerations. A few of us remain undecided. Even with all the loopholes and waste closed, with increased efficiency per dollar spent, there is still a binding budget constraint. To deliver an efficient national transport infrastructure alone will still cost tens of billions of dollars per annum even by corruption-free, cost-effective means. Did I hear that APC promises a welfare system that will pay between N5,000 and N10,000 per month to the poorest 25 million Nigerians? Just this programme alone will cost between N1.5 and N3 trillion per annum. Add to this the cost of free primary education plus free meal (to be funded by the federal budget or would it force non-APC state governments to implement the same? ), plus some millions of public housing, etc. I have tried to cost some of the promises by both the APC and the PDP, given alternative scenarios for public finance and the numbers don’t add up. Nigerians would be glad to know how both parties would fund their programmes. Let me digress a bit to refresh our memory on where we are, and thus provide the context in which to evaluate the promises being made to us. Recall that the key word of the 2015 budget is ‘austerity’. Austerity? This is just within a few months of the fall in oil prices. History repeats itself in a very cruel way, as this was exactly what happened under the Shehu Shagari administration. Under the Shagari government, oil price reached its highest in 1980/81. During the same period, Nigeria ratcheted up its consumption and all tiers of government were in competition as to which would out-borrow the other. Huge public debt was the consequence. When oil prices crashed in early 1982, the National Assembly then passed the Economic Stabilization (Austerity Measures) Act in one day--- going through the first, second, and third readings the same day. General Muhammadu Buhari/Tunde Idiagbon regime made the fight against corruption and restoration of discipline the cardinal point of their administration which lasted for 20 months. I am not sure they had a credible plan to get the economy out of the doldrums (although it must be admitted that poverty incidence in Nigeria as of 1985 when they left office was a just 46%--- according to the Federal Office of Statistics). Recall also that our exchange rate continuously appreciated during this period and was at N117 to the dollar before the global crisis and we deliberately allowed it to depreciate in order to preserve our reserves. My calculation is that if the economy was better managed, our foreign reserves should have been between $102 --$118 billion and exchange rate around N112 before the fall in oil prices. As of now, the reserves should be around $90 billion and exchange rate no higher than N125 per dollar. How have we used the independence? Through our own choices, we have yet again tied the hands of future policymakers. This time, the debt is not necessarily to foreign creditor institutions/ governments which are organized under the Paris club but largely to private agents which is even more volatile. We call it domestic debt. But if one carefully unpacks the bond portfolio, what percentage of it is held by foreign private agents? And I understand the Government had removed the speed bumps we kept to slow the speed of capital flight, and someone is sweating to explain the gyrations in foreign reserves. I am just smiling! Today, the combined domestic and external debt of the Federal Government is in excess of $40 billion. Add to this the fact that abandoned capital projects littered all over the country amount to over $50 billion. No word yet on other huge contingent liabilities. If oil prices continue to fall, I bet that Nigeria will soon have a heavy debt burden even with low debt to GDP ratio. Furthermore, given the current and capital account regime, it is evident that Nigeria does not have enough foreign reserves to adequately cover for imports plus short term liabilities. In essence, we are approaching the classic of what the Shagari government faced, and no wonder the hasty introduction of ‘austerity measures’ again. One theme I picked up listening to the campaign rallies as well as to some of the propagandists is the confusion about measuring government “performance”. Most people seem to confuse ‘inputs’, or ‘processes’ with output. Earlier this month, I had a dinner with a group of friends (14 of us) and we were chit-chatting about Nigeria. One of us, an associate of President Jonathan veered off to repeat a propaganda mantra that Jonathan had outperformed his predecessors. He also reminded us that Jonathan re-based the GDP and that Nigeria is now the biggest economy in Africa; etc. It was fun listening to the response by others. In sum, the group agreed that the President had ‘outperformed’ his predecessors except that it is in reverse order. We were reminded of Jonathan’s agricultural ‘revolution’. But someone cut in and noted that for all the propaganda, the growth rate of the agricultural sector in the last five years still remains far below the performance under Obasanjo. One of us reminded him that no other president had presided over the slaughter of about 15,000 people by insurgents in a peacetime; no other president earned up to 50% of the amount of resources the current government earned from oil and yet with very little outcomes; no other president had the rate of borrowing; none had significant forex earnings and yet did not add one penny to foreign reserves but losing international reserves at a time of boom; no other president had a depreciating exchange rate at a time of export boom; at no time in Nigeria’s history has poverty reached 71% (even under Abacha, it was 67 -70%); and under no other president did unemployment reach 24%. Surely, these are unprecedented records and he surely ‘outperformed’ his predecessors! What a satire! One of those present took the satire to some level by comparing Jonathan to the ‘performance’ of the former Governor of Anambra, Peter Obi. He noted that while Obi gloated about ‘savings’, there is no signature project to remember his regime except that his regime took the first position among all states in Nigeria in the democratization of poverty---- mass impoverishment of the people of Anambra. According to the National Bureau of Statistics, poverty rose under his watch in Anambra from 20% in 2004 (lowest in Nigeria then) to 68% in 2010 (a 238% deterioration!). Our friend likened it to a father who had no idea of what to do with his resources and was celebrating his fat bank account while his children were dying of kwashiorkor. He pointed out that since it is the likes of Peter Obi who are the advisers to Jonathan on how to manage the economy (thereby confusing micromanagement which you do as a trader with macro governance) it is little wonder that poverty is fast becoming another name for Nigeria. It was a very hilarious evening. My advice to President Jonathan and his handlers is to stop wasting their time trying to campaign on his job record. Those who have decided to vote for him will not do so because he has taken Nigeria to the moon. His record on the economy is a clear ‘F’ grade. As one reviews the laundry list of micro interventions the government calls its achievements, one wonders whether such list is all that the government could deliver with an unprecedented oil boom and an unprecedented public debt accumulation. I can clearly see why reasonable people are worried. Everywhere else in the world, government performance on the economy is measured by some outcome variables such as: income (GDP growth rate), stability of prices (inflation and exchange rate), unemployment rate, poverty rate, etc. On all these scores, this government has performed worse than its immediate predecessor--- Obasanjo regime. If we appropriately adjust for oil income and debt, then this government is the worst in our history on the economy. All statistics are from the National Bureau of Statistics. Despite presiding over the biggest oil boom in our history, it has not added one percentage point to the growth rate of GDP compared to the Obasanjo regime especially the 2003- 07 period. Obasanjo met GDP growth rate at 2% but averaged 7% within 2003- 07. The current government has been stuck at 6% despite an unprecedented oil boom. Income (GDP) growth has actually performed worse, and poverty escalated. This is the only government in our history where rapidly increasing government expenditure was associated with increasing poverty. The director general of NBS stated in his written press conference address in 2011 that about 112 million Nigerians were living in poverty. Is this the record to defend? Obama had a tough time in his re-election in 2012 because unemployment reached 8%. Here, unemployment is at a record 24% and poverty at an all-time 71% but people are prancing around, gloating about ‘performance’. As I write, the Naira exchange rate to the dollar is $210 at the parallel market. What a historic performance! Please save your breathe and save us the embarrassment. The President promised Nigeria nothing in the last election and we did not get value for money. He should this time around present us with his plan for the future, and focus on how he would redeem himself in the second term—if he wins! Mention any major government department or agency and someone will tell you whom it has been ‘allocated’ to, and the person subsequently nominates his minion to occupy the seat. What do you then expect? The economy seems to be on auto pilot, with confusion as to who is in charge, and government largely as a constraint. There are no big ideas, and it is difficult to see where economic policy is headed to. My thesis is that the Nigerian economy, if properly managed, should have been growing at an annual rate of about 12% given the oil boom, and poverty and unemployment should have fallen dramatically over the last five years. This is topic for another day. So far, the Government’s response to the self-inflicted crisis is, at best, laughable. They blame external shocks as if we did not expect them and say nothing about the terrible policy choices they made. The National Assembly had described the 2015 budget as unrealistic. The fiscal adjustments proposed in the 2015 budget simply play to the gallery and just to pander to our emotions. For a $540 billion economy, the so-called luxury tax amounts to zero per cent of GDP. If the current trend continues, private businesses will come under a heavy crunch soon. Having put economics on its head during the boom time, the Government now proposes to increase taxes during a prospective downturn and impose austerity measures. Unbelievable! Fortuitously, just as he succeeded Shagari when Nigeria faced similar situations, Buhari is once more seeking to lead Nigeria. But times have changed, and Nigeria is largely different. First, this is a democracy and dealing with corruption must happen within the ambit of the rule of law and due process. Getting things done in a democracy requires complicated bargaining, especially where the legislature, labour, the media, and civil society have become strong and entrenched. Second, the size, structure and institutions of the economy have fundamentally altered. The market economy, especially the capital market and foreign exchange market, impose binding constraints and discipline on any regime. Third, dealing with most of the other issues--- insecurity, unemployment/poverty, infrastructure, health, education, etc, require increased, smarter, and more efficient spending. Increased spending when the economy is on the reverse gear? If oil prices remain between 40- 60 dollars over the next two years, the current policy regime guarantees that foreign reserves will continue the precipitous depletion with the attendant exchange rate depreciation, as well as a probable unsustainable escalation in debt accumulation, fiscal retrenchment or taxing the private sector with vengeance. The scenario does not look pretty. The poor choices made by the current government have mortgaged the future, and the next government would have little room to manoeuvre and would inevitably undertake drastic but painful structural adjustments. Nigerians loathe the term ‘structural adjustment’. With falling real wages and depreciating currency, I can see any belated attempt by the government to deal with the bloated public sector pitching it against a feisty labour. I worry about regime stability in the coming months, and I do not envy the next team. The seeming crisis is not destiny; it is self-imposed. However, we must see it as an opportunity to be seized to fundamentally restructure Nigeria’s political economy, including its fiscal federalism and mineral rights. The current system guarantees cycles of consumption loop and I cannot see sustainable long term prosperity without major systemic overhaul. The proposals at the national conference merely tinker at the margins. In totality, the outcome of the national conference is to do more of the same, with minor amendments on the system of sharing and consumption rather than a fundamental overhaul of the system for productivity and prosperity. President Jonathan promises to implement the report of the national conference if he wins. I commend him for at least offering ‘something’, albeit, marginal in my view. I have not heard anything from the APC or Buhari regarding the national conference report or what kind of federalism they envisage for Nigeria. I want to state for the record that the foundation for the current market economy we operate in Nigeria was laid by that regime (liberalization of markets including market determined exchange rate, private sector-led economy including licensing of private banks and insurance, de-regulation, privatization of public enterprises under TCPC, etc). Just abolishing the import licensing regime was a fundamental policy revolution. Despite the criticisms, these policy thrusts have remained the pillars of our deepening market economy, and the economy recovered from almost negative growth rate to average 5.5% during the regime and poverty incidence at 42% in 1992. Under our democratic experience, President Obasanjo inherited a bankrupt economy (with the lost decade of the 1990’s GDP growth rate of 2.2% and hence zero per capita income growth for the decade). His regime consolidated and deepened the market economy structures (consolidation of the banking system which is powering the emergence of a new but truly private sector-led economy and simultaneously led to a new awareness and boom in the capital market; telecommunications revolution; new pension regime; debt relief which won for Nigeria policy independence from the World Bank and Paris Club; deepening of de-regulation and privatization including the unbundling of NEPA under PHCN for privatization; agricultural revolution that saw yearly growth rate of over 6% and remains unsurpassed ever since; sound monetary and fiscal policy and growing foreign reserves that gave confidence to investors; establishment of the Africa Finance Corporation which is leading infrastructure finance in Africa; backward integration policy that saw the establishment and growth of Dangote cement and others; established ICPC and EFCC to fight corruption, etc). Where is the strategy for orchestrating the revolutionary finance to power the economy during this downturn? For President Jonathan, I find it shocking that the most important initiative of his government to secure the future of the economy by Nigeria refusing to sign the ruinous Economic Partnership Agreement (EPA) with the European Union is not even being mentioned. President Obasanjo saved Nigeria from the potential ruin of an ECOWAS single currency while to his credit Jonathan safeguarded our industrial sector/economy by refusing to sign the EPA. Or does the government not understand the import of that? It will be interesting to know the APC’s strategy for exploiting strategic alliances within Africa, China, and the world for Nigeria’s prosperity. What I say to you, Mr. President, is that your record of performance so far is like a farmland filled with grasses. Yes, they are many but there is no tree, let alone any iroko tree, that stands out. Think about this. The beginning of wisdom for every President in his second term is to admit that he is racing against time to cement his legacy. So far, your report card is not looking great. You need a team of big and bold thinkers, as well as with excellent execution capacity. So far, it is not working! 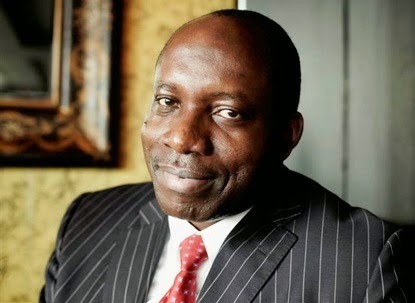 Chukwuma Charles Soludo, CFR, was former CBN Governor.